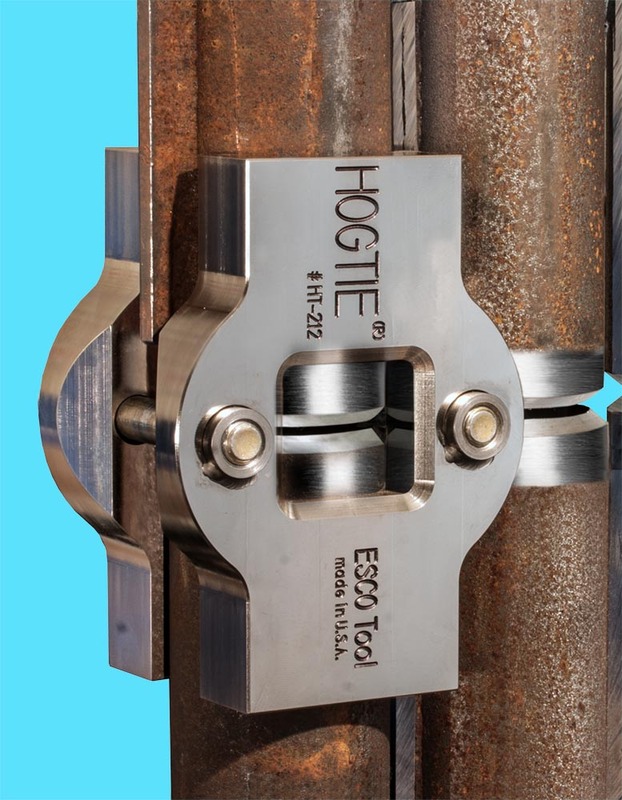 A new pipe alignment clamp that attaches rapidly to perfectly align water wall boiler tubes and single pipes to speed and secure the welding process is being introduced by Esco Tool of Holliston, Massachusetts. The Esco HOG TIE® Boiler Tube Weld Alignment Clamp is a precise two-piece device that rapidly and accurately aligns boiler tube ends to reduce the risk of failure from misalignment when welding water wall boiler tubes. Simple to use, one side has two through-holes and the other has threaded inserts which accept two bolts that draw them together; exposing the tube ends for tack welding before removal to finish the entire tube joint weld. Assuring fast and accurate alignment, the Esco HOG TIE® Boiler Tube Weld Alignment Clamp is offered in seven sizes for tube from 1.75” to 3.25” O.D. Made of precision machined high strength steel, it can be supplied alone or as a kit with an impact wrench and socket, four 0.5” bolts, two spare through-hole inserts, two spare threaded inserts, and a metal carrying case. The Esco HOG TIE® Boiler Tube Weld Alignment Clamp Kit sells for $795.00 and can be rented from $77.00 per week; with 24-hour shipment available.